Microsoft SA MD Zoaib Hoosen. Microsoft SA will pilot a project focused on providing Internet access to communities in the Eastern Cape, according to MD Zoaib Hoosen. 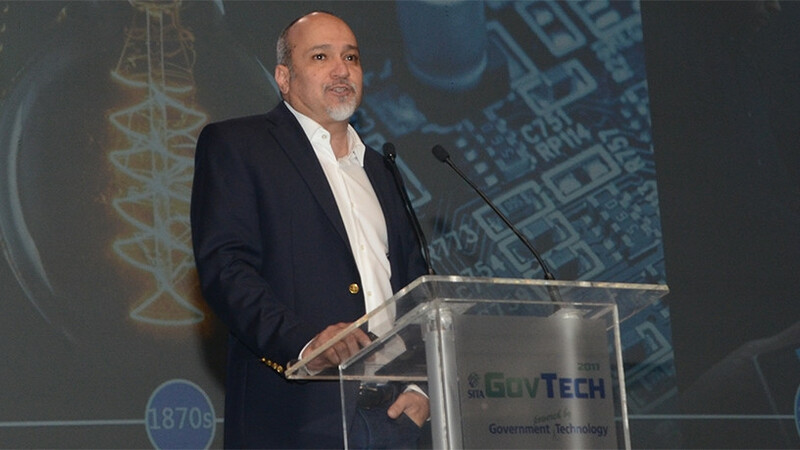 Speaking at the GovTech conference in Durban, Hoosen said Microsoft will work with the Universal Service and Access Agency of SA and BrightWave Technologies to introduce this project. "I think this is a classic example of how the private sector together with an SMME [small, medium and micro enterprise] and government are putting their resources together to drive a high-impact outcome and that is the trick of trying to get things done together. "In this one instance, we are creating jobs, creating access, we are reaching out to citizens to enhance service delivery and through all of this there is an opportunity to still do good business." Microsoft's MD explained that partnerships of this nature require smart collaborative efforts. Government alone cannot have all the answers; the private sector alone cannot have all the answers, as well as academia; but it is going to require clever partnerships, he noted. This is turning on the engine of the SMMEs to solve complex problems, but they cannot do it without the right policy framework and right support from the private sector, he noted. Earlier this year, Microsoft embarked on a digital transformation journey and partnered with the Botswana Innovation Hub to pilot telemedicine services that enable hospitals and clinics in small towns and rural areas to access specialised care remotely. Telemedicine is the use of medical information exchanged from one site to another, via electronic communications, to improve, maintain or assist patients' health status. Project Kgolagano uses TV white spaces to bring Internet connectivity and telemedicine services to distant facilities, allowing medical workers to send high-resolution patient images to specialised medical facilities around the world. Meanwhile, Hoosen added Microsoft SA has partnered with an innovative doctor who has built a medical facility in a bus. Together with an app and the bus, the dream is to engage in the rural communities around the top seven diseases in the country, which afflict about 70% of the adults in SA, he said. "The idea is that the mobile facility will help rural communities, triage the situation and co-own the patient records with the patient, so that if the patient goes to another facility, the medical record goes with the patient."